Nostradamus predicted the assassination of Benazir Bhutto, the Credit Crunch in 2008 and the floods in New Orleans as well as the Iraq War, the Twin Towers disaster and the devastating Tsunamis – and he foretold the future for decades to come. Mario Reading presents Nostradamus in an entirely new light. He has prepared new groundbreaking translations of all Nostradamus’s quatrains that deal specifically with the future, with new, sharp and knowledgeable commentaries. Mario Reading’s startling discovery of Nostradamus’ dating system allow him to date the prophecies, and his translation and insightful interpretation reveal extraordinary and sometimes shocking predictions for the future. These predictions include the demise of the British Monarchy, the break-up of the European Union and Global War. 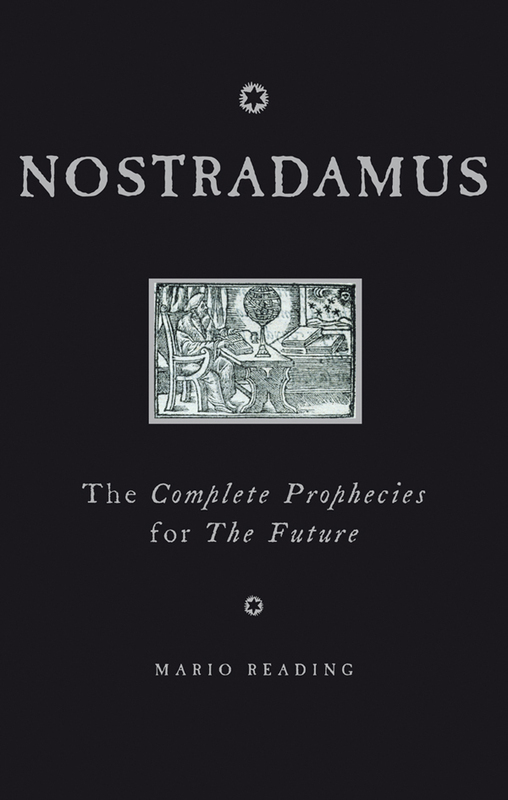 Nostradamus, the greatest diviner and scryer who ever lived, was born on the 13th December 1503, in Provence, France. His prophecies have been in continuous print since his death on the 1st July 1566, an event that he accurately foretold on the night before it happened.